Fully autonomous cars haven’t truly hit the road in any significant numbers, yet when it comes to the steady cycle of reports about the latest developments, newsfeeds already seem to have achieved informational gridlock. The signal-to-noise ratio makes it hard to juggle all the updates about the latest business developments and engineering advances, not to mention thinking about how this game-changing tech will shape our cities, real estate, roadways, and even parking garages. To make sense of the latest developments, and how they’ll shape the future of urban transportation, Curbed took a look at the big players currently shaping the AV landscape, and how their next steps will impact how we get around our cities in the future. If AVs can come of age at the same time ride-hailing and electric vehicle technology are embraced by the masses, leading to a dramatic decrease in car ownership, it will create a true revolution in urban mobility. Sticking with strengths seems to be the strategy being adopted by tech companies when it comes to AV development. 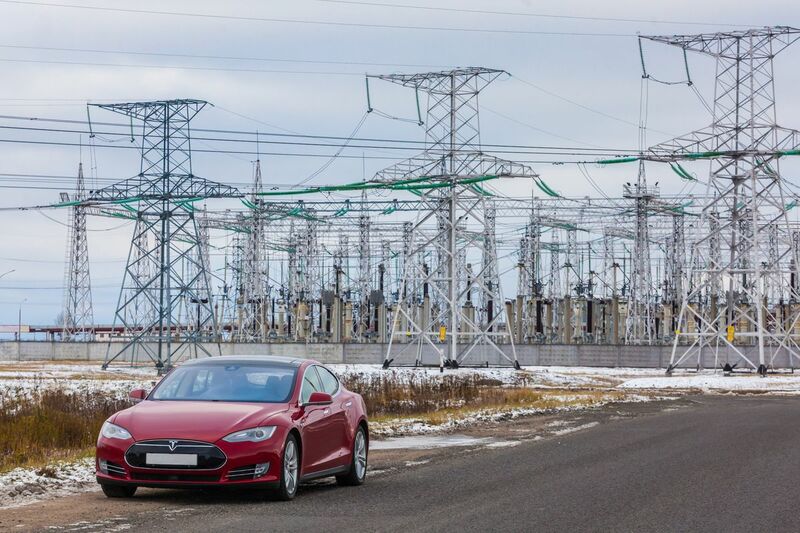 Tesla pioneered the commercial release of the technology with its Autopilot system, which updates like software on a computer. While it’s not fully autonomous and requires an aware human ready to take the wheel—and has been the subject of a high-profile crash—its set the bar for competitors. Outside of Tesla, which falls somewhere between tech company and automaker, most of the established and new tech companies working on autonomous technology have focused on creating the technology, as opposed to building the actual vehicles. Apple has dialed back its efforts at designing a car (though a Jony Ive sportscar would have been... something), choosing to focus solely on the software instead of going head-to-head with Tesla in the manufacturing arena. 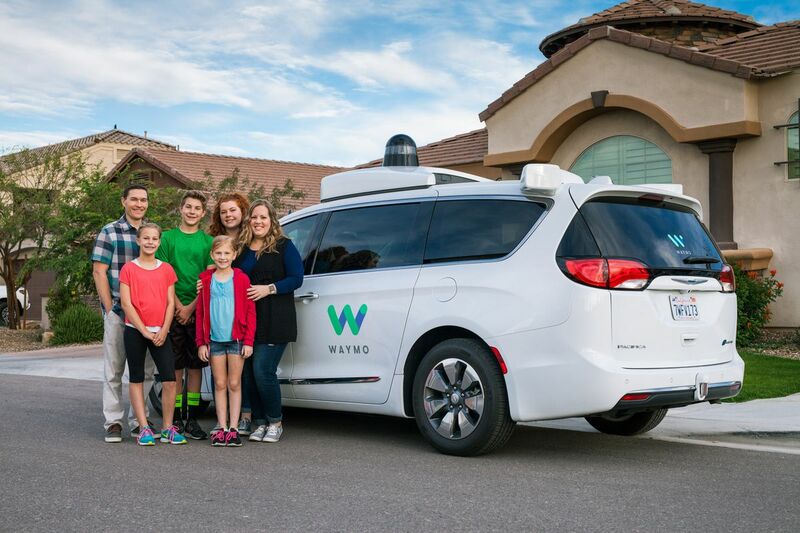 One of the more exciting developments is Waymo’s recently launched pilot program in Phoenix. The Alphabet spinoff’s decision to test out its tech with families, who will use Chrysler Pacifica vans for daily activities, shows that the company sees a future not in early adopters, but everyday people. It’s a great test case for the true viability of driverless tech (while simultaneously taking aim at a big cross-section of car-owners). 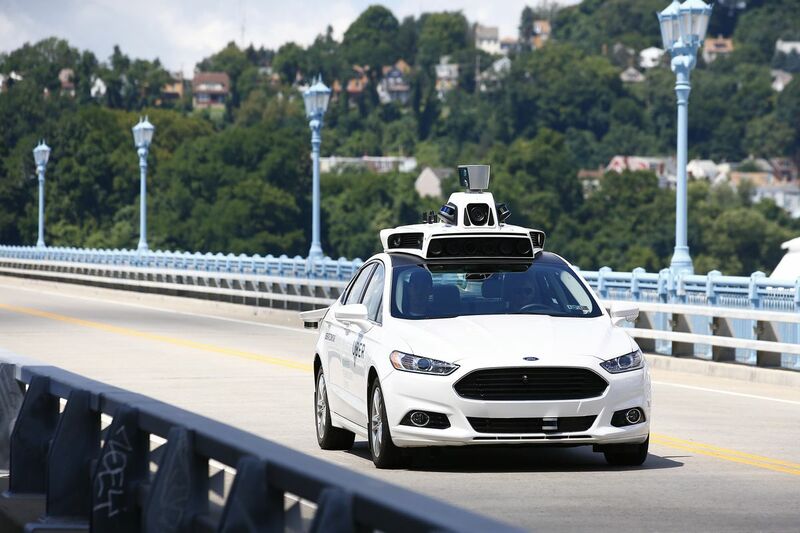 Uber’s self-driving car technology being tested in Pittsburgh. Uber, to put it lightly, hasn’t had a great 2017. But despite the self-inflicted wounds, the beleaguered tech giant has made significant progress on its self-driving program, which is suffering from a mini civil war. In the last year, Uber partnered with Volvo for two high-profile self-driving programs in Pittsburgh and San Francisco, although a clash with California state regulations exiled that program to Phoenix (where a bad crash paused the program for a few days). Still, Uber has an audience of millions who regularly use its app to get around, making it a huge player as the future of autonomous vehicles, and the business models surrounding them, come into focus. Once the underdog in the AV race, Lyft has been able to capitalize on Uber’s PR implosion, lining up a splashy investment from GM as well as a partnership with Waymo. The company has recently become bullish on an AV future; earlier this year, Lyft’s CEO predicted that within five years, all their cars will be autonomous. Ride-sharing offers an easy way to spread the cost of a new driverless car between numerous drivers, and both Uber and Lyft have the ability to become two of the biggest buyers of autonomous vehicles, as well as the central service providers in U.S. cities. Many have also theorized that for companies like Uber, which is bleeding cash, autonomous vehicles are a necessity to get costs under control—by not paying human drivers—and make its business model work. Despite early crashes, Tesla is still the leader when it comes to automakers releasing a road-ready, truly autonomous vehicle. Traditional automakers, to put it lightly, feel threatened by the widespread changes this technology will bring to their business model. The increased ability to share cars via ride-sharing services and emerging mobility-as-a-service systems means less vehicle sales over the long run, and the tech arms race over automation means that unless traditional automakers can close the gap, they’ll be denied a piece of that shrinking sales pie. That’s one reason the tech has been a huge focus of recent car shows and the annual Consumer Electronics Show. Automakers have fallen into two general camps when it comes to next steps: partnerships and reinvention. For many, the path to relevancy in a “post-driver” age comes through partnerships or purchases, which continue to stack up. Chrysler has partnered with Google, Volvo will work with Nvidia and Autoliv, GM invested in Lyft and acquired Cruise. Overseas, tech company Baidu is partnering with manufacturers in China. Ford exemplifies the reinvention approach. The Big Three automaker has worked hard to rebrand itself as a mobility company, introducing an app, running autonomous shuttles and bike-sharing systems, and promoting a vision of connected, mobility-as-a-service solutions with the Detroit company at the center. As alliances, buyouts, and partnerships shift, it’ll be interesting to see if automakers focus more exclusively on the technology, or also become more invested in emerging distribution networks and service providers. 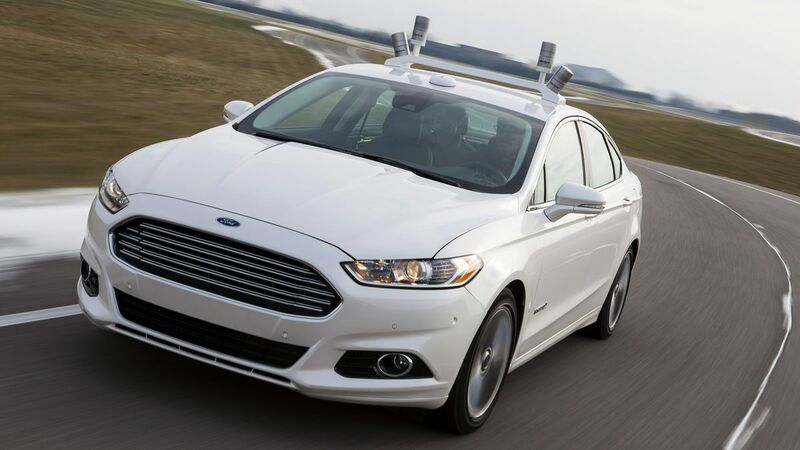 Carmakers may claim they’ll have autonomous vehicles on the road in a few years. Unfortunately for them, the business model, and cracking the urban mobility market, may be as tricky to figure out as the technology. Google recently announced a partnership with Avis, which will be managing its test fleet in Arizona. One of the unexpected winners in the recent dealmaking frenzy over driverless cars, rental car companies have emerged as potential players in the automated vehicle ecosystem. The reason? They have the coverage, logistics, and maintenance facilities that car companies and tech firms lack, as well as the business relationships that mobility service providers seek (outside of Uber and Lyft). 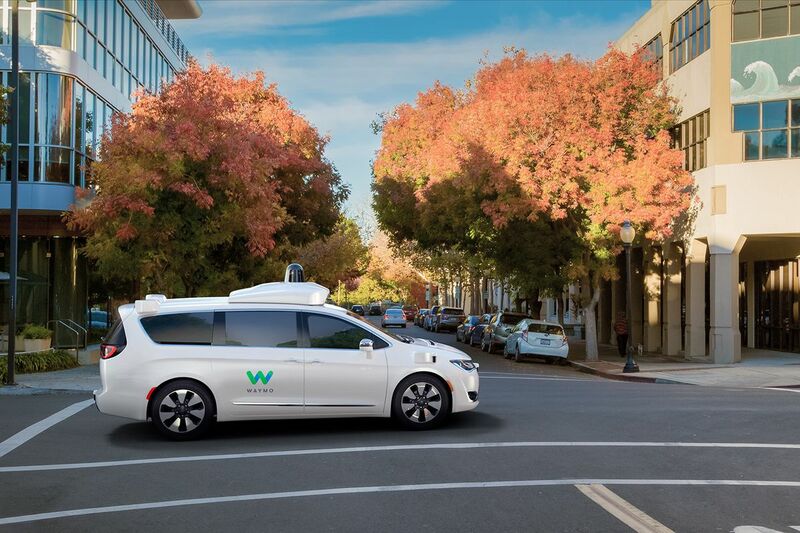 The recent deal between Waymo and Avis, a partnership that would see the rental car firm manage the tech firm’s expanding fleet of cars, and Apple’s deal with Hertz to test out its technology, may be signs of more such collaborations to come. Rental car companies could become the entry points for urbanites looking to request or rent autonomous vehicles. With autonomous vehicle technology in its nascent stages, it seems early for the government to get involved, and many have pushed for regulators to hold off on making rules, lest they stifle a growing industry. But others are worried that without consistent—and nationwide—rules of the road, regulatory uncertainty may stifle innovation. One way to spur innovation is through federal grant-making. The previous administration invested in developing autonomous technology, funding the Smart City Challenge, a competition that awarded $40 million to Columbus, Ohio, to develop a next-generation transportation system, and pushed 70 cities across the country to develop their own plans for driverless tech. The first large-scale federal regulatory response to the evolving technology was last year’s introduction of recommended regulations by the Department of Transportation, including the Vehicle Performance Guidance for Automated Vehicles, a 15-point safety assessment for new autonomous vehicles. The result of extensive study by the DOT, these guidelines seek to avoid a patchwork of rules and also propose giving the government the power to certify self-driving vehicle technology (a big shift from the existing regulatory regime, where carmakers self-certify the safety of their products). Last month, more than a dozen bills were introduced to Congress, seeking to solidify these oversight powers, and grant tech companies the ability to conduct more widespread tests. 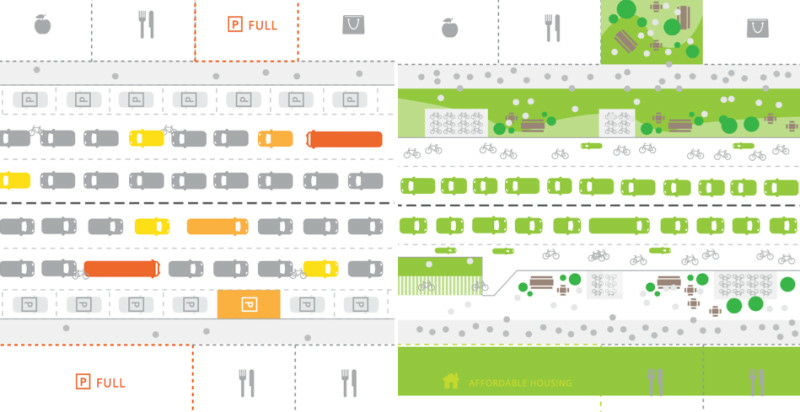 San Francisco’s plan to reclaim the street with the advent of driverless cars. More important for the long-term future of driverless cars is the way cities and municipalities decide to regulate this technology. Will new zoning codes require mandatory drop-off zones, and how will the reduced need for parking reshape urban land use? How will cities deal with the loss of car-related revenue? Will congestion charges, or charges for driving without passengers, be levied to control the potential congestion from hordes of driverless Ubers or Lyfts swarming busy streets in search of passengers? The technology has the potential to radically reshape how city transportation works (and create much safer streets). City transportation and planning officials may become the gatekeepers in deciding the true nature of our driverless urban transport system. Already, cities such as Los Angeles are leading the way with forward-thinking plans to adapt to the reality of shifting streetscapes and transportation systems. The RoboBusLine will debut in Helsinki this fall, the world’s first regular autonomous transit service. Some of the advantages of autonomous vehicles—flexible routes, smart navigation, lower labor costs—make it a potential game-changer for public transportation. While Lyft was widely mocked for its recent introduction of the Lyft Shuttle service (which picks up riders on a pre-arranged route and sounds suspiciously like a bus), many transit agencies are already testing their own autonomous solutions to city transportation challenges. In the United States, a minibus operated by French companies Navya and Keolis conducted a series of trials in Las Vegas’s downtown (and will soon start running at the University of Michigan). Two California cities, Beverly Hills and San Ramon, are testing driverless shuttles. More advanced trials are taking place in Europe, including the introduction of a regular autonomous bus service in Helsinki, Finland, set to debut this fall. Advocates hope that smart buses can efficiently expand coverage areas and increase passenger volume at a lower cost. With numerous trials showing promise, this may be the first driverless transport system many city-dwellers experience, and its success or failure may shape how public transit fares in the autonomous age. 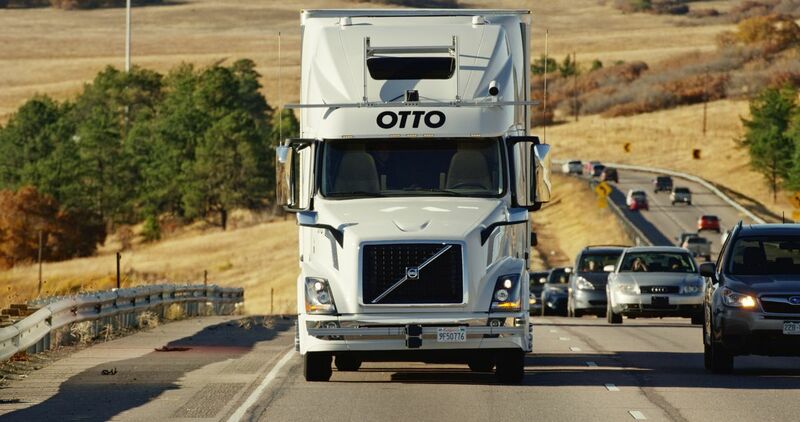 Otto, an autonomous trucking service, has formed the core of the Uber Freight service. Autonomous technology isn’t all about passengers. City streets are also increasingly seeing a big bump in deliveries, due to the rise in online shopping, and navigating this new source of traffic will become increasingly important to city transit planners. Right now, much of the action in autonomous shipping concerns the long-haul trucking sector and companies such as Otto (which is owned by Uber). But it’s clear that eventually, this technology will be central to how we deliver goods in dense urban areas, including tiny, electric, autonomous vehicles—more like robots than cars. 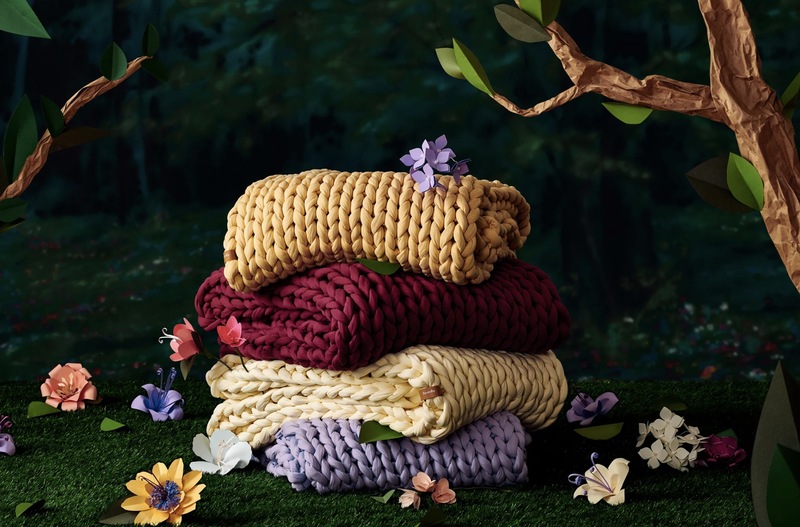 Why green has overtaken our home decor Environmentalism, a ’70s revival, and our need to be soothed. Midcentury home of acclaimed photographer Ezra Stoller asks $2.2M Located about 50 minutes from Manhattan, this four-bedroom, three-bathroom home boasts an impeccable midcentury pedigree. 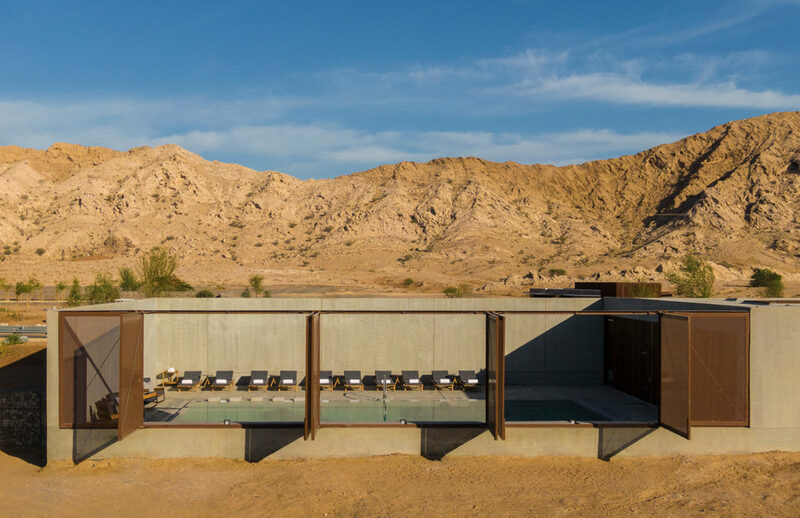 ’60s grocery store becomes luxury hotel in the desert The hotel offers five rooms that are decked out in dark walls, modern furnishings, plus a skylight for stargazing. 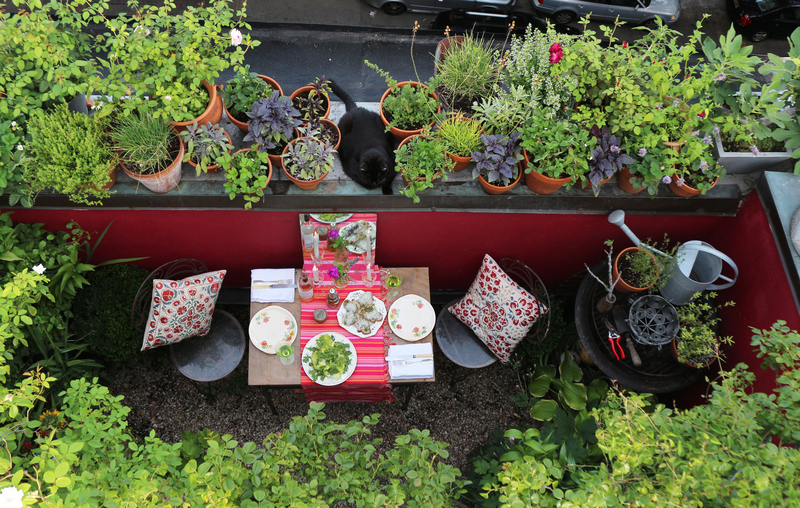 The creator of a lush 66-square-foot garden shares her tips and ideas for small green spaces. 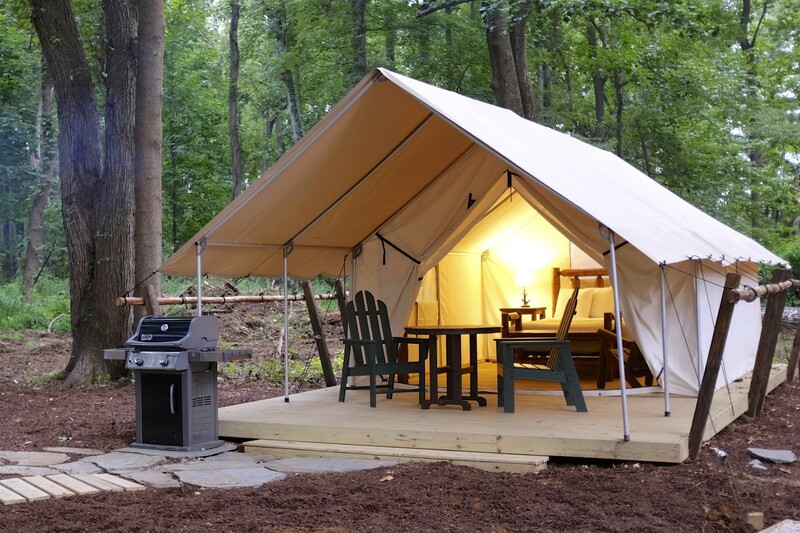 The hotel offers five rooms that are decked out in dark walls, modern furnishings, plus a skylight for stargazing. 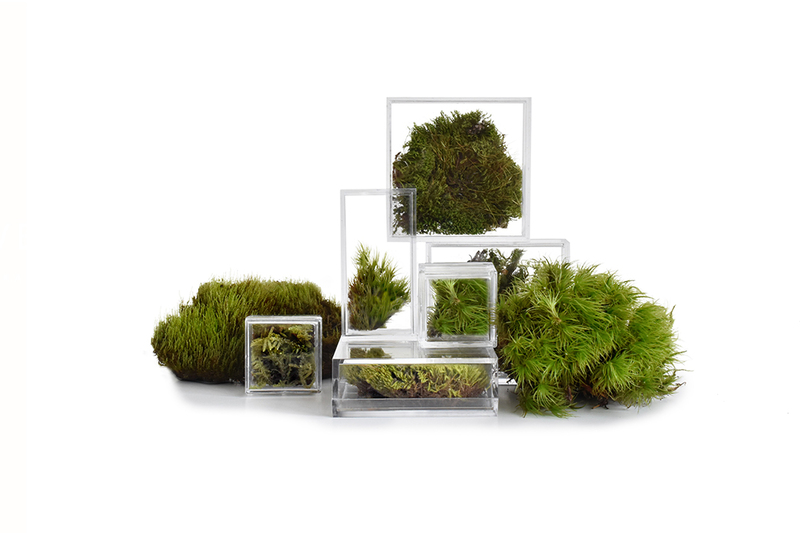 The plastic boxes are filled with puffs of plants and can be arranged into sculptural stairs or Barbie-sized architectural living walls. Located about 50 minutes from Manhattan, this four-bedroom, three-bathroom home boasts an impeccable midcentury pedigree.